This book gives a radically new reading of Russia’s cultural history. Alexander Etkind traces how the Russian Empire conquered foreign territories and domesticated its own heartlands, thereby colonizing many peoples, Russians included. This vision of colonization as simultaneously internal and external, colonizing one’s own people as well as others, is crucial for scholars of empire, colonialism and globalization. Starting with the fur trade, which shaped its enormous territory, and ending with Russia’s collapse in 1917, Etkind explores serfdom, the peasant commune, and other institutions of internal colonization. His account brings out the formative role of foreign colonies in Russia, the self-colonizing discourse of Russian classical historiography, and the revolutionary leaders’ illusory hopes for an alliance with the exotic, pacifist sectarians. Transcending the boundaries between history and literature, Etkind examines striking writings about Russia’s imperial experience, from Defoe to Tolstoy and from Gogol to Conrad. This path-breaking book blends together historical, theoretical and literary analysis in a highly original way. It will be essential reading for students of Russian history and literature and for anyone interested in the literary and cultural aspects of colonization and its aftermath. "Internal Colonization might be said to inject postcolonial theory into Russian studies. This, however, would be to understate the case. Russia, in Etkind's account, is no mere latecomer to the postcolonial feast: in so many ways, it got there first. Etkind has confirmed what Russianists have suspected for a while without quite being able to prove the point: that Russia's peculiarly vocal subalterns have at least as much to bring to 'Western' cultural theory as they stand to gain from it." "The cumulative power of Etkind's argument constitutes an impressive scholarly achievement, offering a coherent yet richly detailed account of Russia's centuries-long experience of internal colonisation." "A coherent and cogent, as well as an original and witty investigation … the text itself teems with intriguing Tristram Shandean excursions." "Etkind highlights what is at the core of the Russian Empire building process. Beyond objective specific facts [Etkind] goes deep into Russian history and culture to emphasize and explain the heuristic idea 'how to colonize oneself'." "A thought-provoking work of scholarship that will inspire both controversies and useful new approaches to Russian history and culture: to paraphrase Levi-Strauss, it is good to think with." "A gripping read. Etkind combines an energetic pace with a multitude of sources … Etkind has succeeded in presenting an entirely readable text that will appeal to anyone interested in Russian imperial history, Russian literature, or the literature and culture of a colonial and postcolonial society." "A fresh and entertaining work that is beautifully written … Etkind persuasively demonstrates that post-Soviet postcolonial studies should shift their focus from chasing the unresolvable historical justice to pursuing original, creative and challenging research to support competennt discussion of the controversial issues." "Not only useful but also very enjoyable...It is safe to consider this as one of the best books of 2011 in its category and it will definitely have an impact on Russian studies for many years to come." "An exhaustingly original book, beautifully written and crafted so as to be eminently quotable. It will stand for decades to come as the central volume in the larger debates on empire." "An erudite and incisive interpretation of Russian history and culture. Indeed, one of the great virtues of this book is its sweeping range, covering several centuries of history and culture. It is well-known that Russia was a great and expansive empire. Etkind provides a striking new lens for seeing Russian culture and history, one that stresses the enduring process of internal colonization. Beyond scholars of Russia, this book should appeal to those interested in questions of colonialism and post-colonialism and in issues of comparative empire." 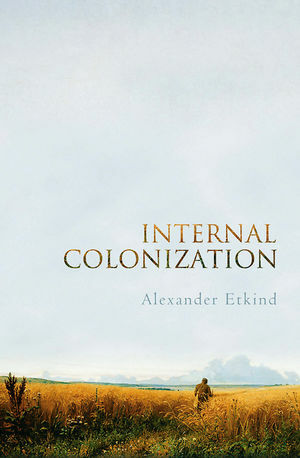 "Combining literary and historiographical evidence, Alexander Etkind elucidates the processes of 'self-' or 'internal colonization' the Russian imperial state carried out in its heartland in tandem with colonizing practices deployed in its farthest corners. With wit and erudition, Internal Colonization provides an original and fascinating account of Orientalism's genealogies, the complexity of its global enactments, and the fantasia of its imperial, 'self-colonizing' logic on the newly-illuminated stage of the Second World." This is a radically new account of Russia's cultural history. Etkind introduces the concept of 'internal colonization' in order to analyse the history of Russian Empire, culture and literature. By this he means a kind of colonization that involves colonizing one's own people as well as others, something Russia achieved by domesticating its own heartlands. Etkind explores serfdom and the peasant commune, as well as the formative role of foreign colonies in Russia, and the revolutionary leaders' hopes for an alliance with the pacifist sectarians. Written by a leading scholar in the field, this path-breaking book will be essential reading for all students of Russian history and literature and for anyone interested in the literary and cultural aspects of colonization and its aftermath.